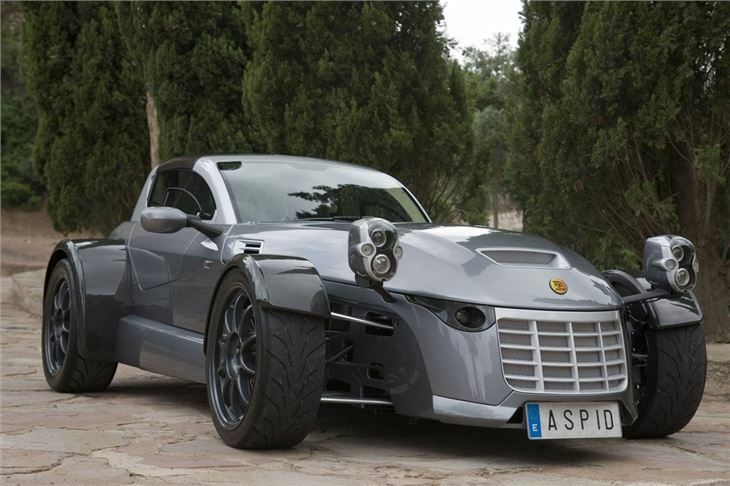 Crazy sports car from Spanish brand. 0-62mph in just 2.8 seconds. Price of €107,000 without tax. 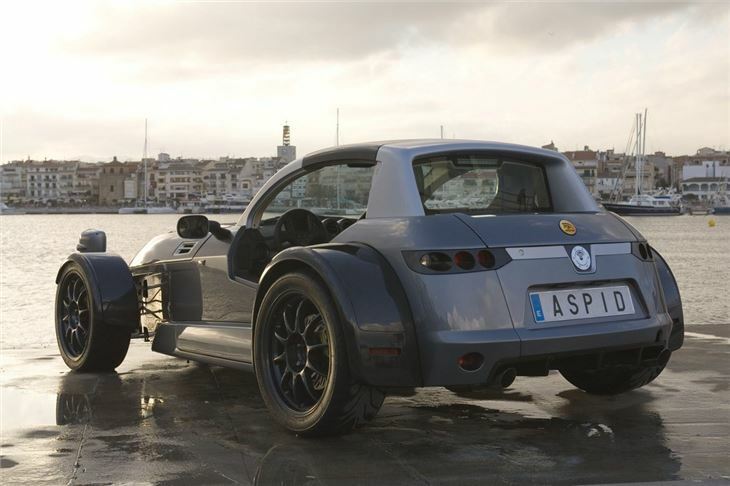 The Aspid accelerates from 0 to 62mph (0-100km/h) in 2.8 seconds, which puts it into superbike territory. It also demonstrates an impressive ability to accelerate from 0 to 100mph (160km/h) in 5.9 seconds and from this speed can return to a standstill in just 3.1 seconds; which means a round trip of 0-100-0mph in approximately nine seconds. The cornering grip is arguably even more impressive delivering up to 1.6g of lateral acceleration; achieved by minimising the loads imposed by the car on the tyres.